We offers a wide range of ballistic protection solutions for naval systems, independently certified as effective against a wide range of current threats from small arms, Handguns, Rifles etc. We understands the challenge of integrating ballistic protection into all parts of a naval vessel, matching the complex contours of the vessel’s shape effectively utilizing all the available space. 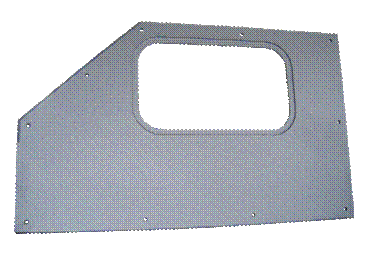 Such ballistic protection can be integrated during vessel construction or added later, depending upon the customer’s requirements. Alif is fully equipped for either approach. We offers complete project management for design, development, manufacturing and integration of armour protection solutions for different Naval systems including Military boats, Patrol Boats, Fast Interceptor Crafts, RIBs, Hovercrafts, Crew Boats, OPVs etc.